An intriguing, beautifully written and translated memoir intersecting writing and running. 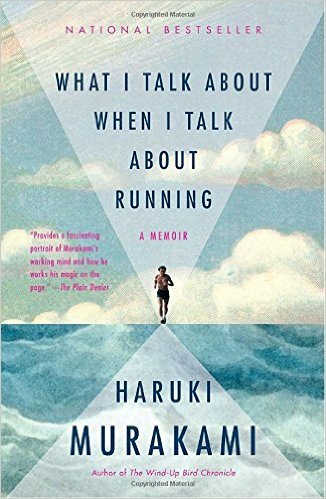 Murakami wrote this memoir while training for the New York Marathon and he shares insightful lessons he's learned along the way about both being a writer and being a long-distance runner. When he sold his business and started his career as a writer years before, he knew he'd have to figure out a way to stay active or he'd spiral into a sedentary lifestyle in front of a typewriter. So, he started running ... and fell in love with it at the same time he was discovering his love for writing. That may explain why these two topics could be interweaved so flawlessly and creatively. I loved listening to this on my morning jogs and it motivated me in my running and writing goals. 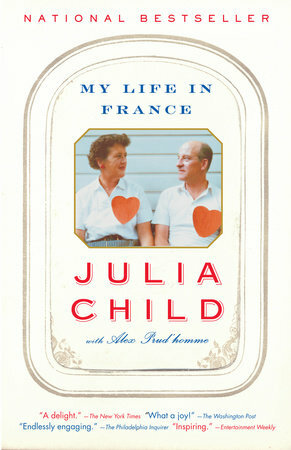 I first heard of Julia Child when the whole buzz around the blockbuster hit, Julie & Julia first started. I loved the movie and wanted to know more about her, but for whatever reason, it has taken me this long to read her memoir (co-written by Prud'Homme because the project was started in the last years of Julia's life). There was so much about Julia that was inspiring as well as so much that had me literally laughing out loud while listening to the audiobook on my jogs or while doing my chores. She was a larger-than-life character and her memoir captured her essence. I want to watch the movie again and find some videos of her cooking TV show on youtube soon. I had heard about this timeless classic (pun intended) for many years but it wasn't until I read Walking On Water, her collection of essays on faith and art, that I resolved to finally read it. I am so glad I did because it was a fun adventure traveling through time and space with Meg, Charles Wallace, and Calvin in search for Meg and Charles Wallace's longtime-missing dad. The tale was interwoven with math and science in a way I haven't seen before and it was fascinating! I am looking forward to the other four books. 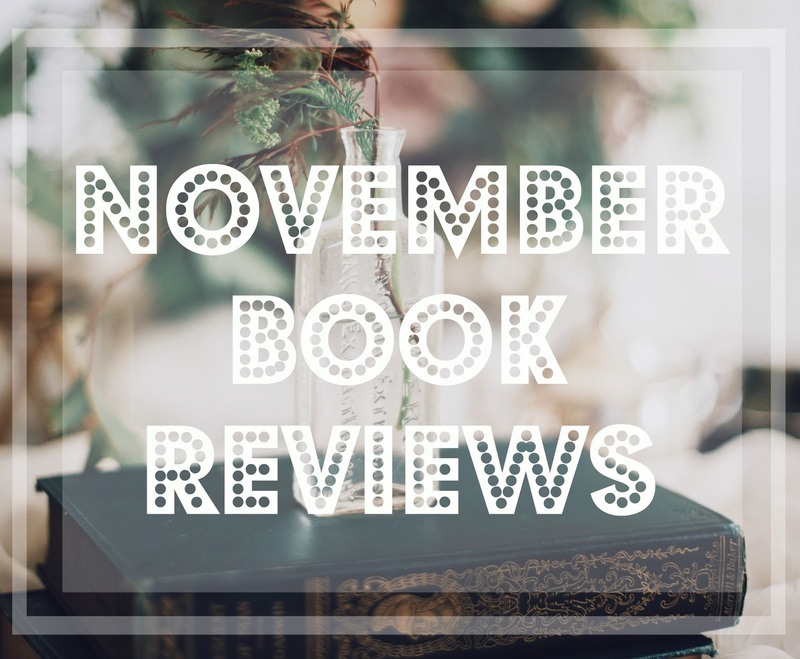 I devoured Reay's three other books last spring and have been waiting for this new release for atleast three months, so I was psyched when I saw it available as a book to review on BookLook Bloggers. Reay's charming style that made her other novels so endearing certainly does not lack in this one. 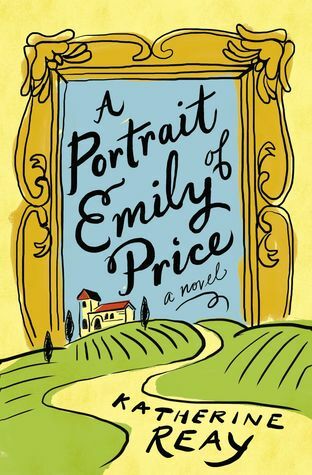 It is a whirlwind story about Emily Price, a girl who fixes things (its her job, actually) ... and sometimes people (or she tries to, that is). She falls fast for a sweet and ambitious Italian chef in Atlanta and when circumstances change abruptly, they head off to a quant village in Italy where he and his family live. Here she is totally out of her realm and life gets chaotic as family secrets are uprooted. Life gets quite messy for Emily and it was a treat to see how Reay unfolded the story and weaved in Biblical themes of grace and freedom into the narrative. 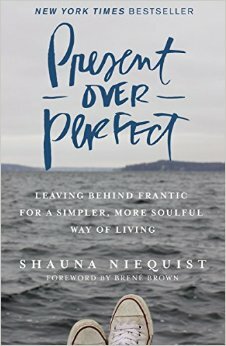 Shauna's honest, soul-searching writing style is vulnerable and gritty. It's bold and courageous and it is beautiful. She recounts how her life of constant hustle led her to missing out on opportunities to connect with her family, close friends, and even herself. Her exhaustion from saying Yes to everything that came her way led her to only offering a paltry remainder to her loving family. Her essays dive into her journey towards being present to gain meaning where it counts rather than aiming for perfection, productivity, applause, and admiration. I really enjoyed listening to the audiobook since she narrates her own writing, which adds a depth and rawness. After hearing everyone and their mom praise this book in the blogging world the past few months, I can see why. Niequist gives hope through her own honest journey and though this is not a how-to book in any sense, the reader can glean much wisdom for her own life towards living to be present where she (or he) is at. 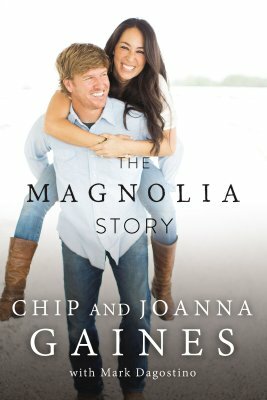 If you have even the remotest interest in the HGTV hit show, Fixer Upper, you'll likely enjoy this book. All the silliness of Chip and the sweetness and creative genius of Joanna burst through the pages, especially with the audiobook (narrated by them!). It was such a fun read and I loved how candid they were in sharing their story. I admired how they repeatedly pointed the applause to God rather to their own talents. They recognized His hand at work in their lives in the highest of highs (like having a hit show, best-selling book, store, company, etc) to the lowest of lows (when they were in danger of losing it all when the economy took a nosedive in 2008). It was really fun hearing how they met, fell in love, and early adventures and mishaps in their newlywed stage as well as the beginnings of Magnolia. Such a fun read!! I recommend it if you like: Their TV show, Fixer Upper, or if you're curious about what all the hype is about. They are genuine, hilarious people. 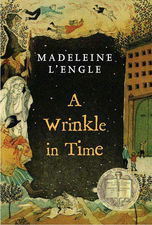 After reading A Wrinkle In Time earlier in the month, I wanted to see how the series continued. I was not disappointed at all. This was equally as intriguing and overall just such a great plot with deep symbolism. Meg Murry's worried about her little brother, Charles Wallace, who mysteriously is becoming very ill and insists that he sees dragons in the backyard. This leads Meg and her friend Calvin to meeting Proginoskes, a huge cherubim sent to help them with their mission to defeat the Echthroi (sinister beings that are composed of hatred and are causing a whole lot of trouble) and save Charles Wallace. 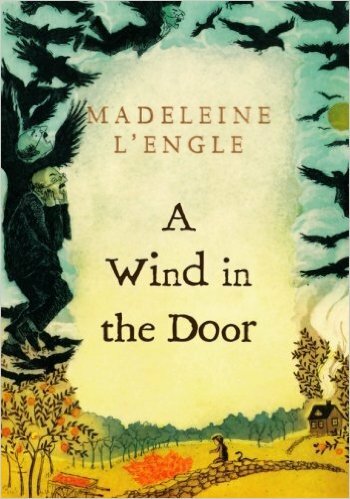 Every book I read by L'Engle makes me more and more amazed by her brilliant writing. I am excited to read more of the series! What would our relationships with God, the Bible, people, nature, and ourselves look like if we knew how to really listen with purpose, patience, and humility? 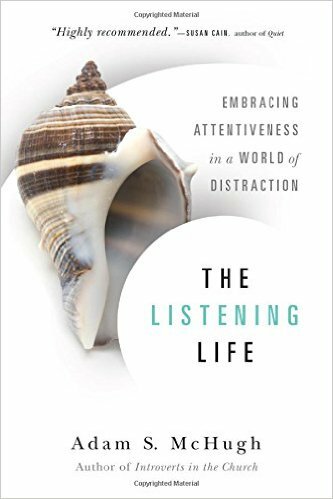 McHugh digs into each of these relationships and why listening is such a vital practice in all spheres of our lives. He shares insight on how we can listen to people who are in pain, how we can listen to nature to better understand Biblical truths, and how amazing it is that God is a God who listens to His people. There was so much wisdom in this book. It took me all month to read because I had to process what I was reading but it is definitely a book I will refer back to in my own journey to growing as a listener. I first read this in 2013 and loved it. Now I re-read it for our book club and though I still enjoyed it, I wasn't as blown away as the first time. I think I was more put off by the poetic writing style this time around since I tend to prefer more concrete writing. That said, the overall content of the book and the call to eucharisteo -- an attitude and daily practice of joyful thanksgiving -- made it worth the re-read. 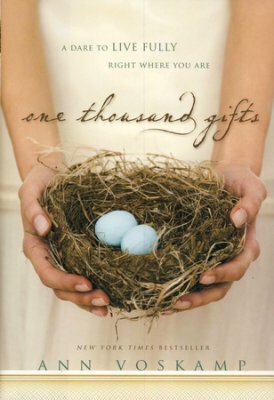 It is part memoir (as Ann grapples with past hurt, anxiety, and deep sorrow), partly theological essays (in poetic style about everyday things that point her to thankfulness and joy), and a practical example of journaling the gifts God gives us (the big and the small) and how focusing on them can help shift our mindset and heart. Writing my own 1000 gifts from 2013-2014 was a life-changing thing because it helped me focus on God's blessings in a season with lots of changes, busyness, and stress. Dr. Barry Laverty is fresh out of medical school when he is employed by the only doctor in the secluded northern Irish country village of Ballybucklebo to help him run the clinic. 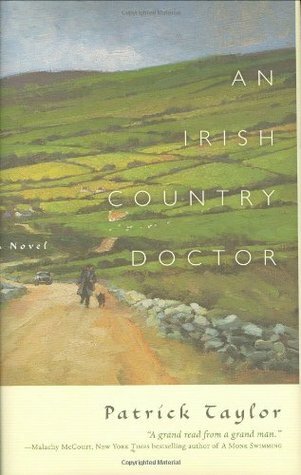 Dr. Fingal O'Reilly does medicine a whole lot different than Laverty's medical books dictate and a hilarious plot ensues as these two treat the various patients in the village. From a nursing standpoint, I really liked hearing the symptoms of the patients and guessing what was going on, but there is no prior medical knowledge needed enjoy this charming tale. This is the first in a series, so if you love it, there are plenty more! The audiobook was fun because of the Irish accents. Caution: one chapter has a whole slew of F-bombs (an angry patient who's not so excited about a painful medical procedure) but overall pretty clean. At the end of the month, I am 3 books away from reaching my 2016 goal to read 100 books!